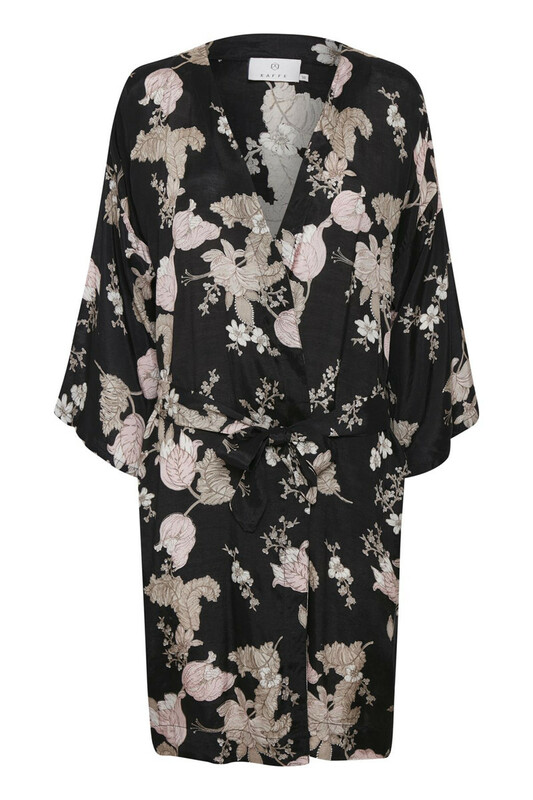 Beautiful and long kimono from KAFFE. 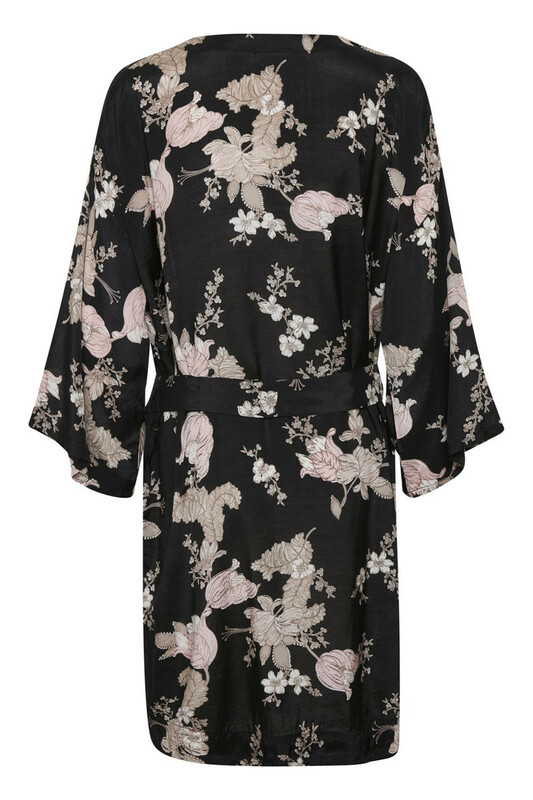 The kimono has ¾ sleeves, a regular fit and a floral print, which create an elegant and classic look. Furthermore, the kimono has belt loops and tie belt at the waistline, which creates some cool style options. It is very comfortable to wear and pleasant in quality. 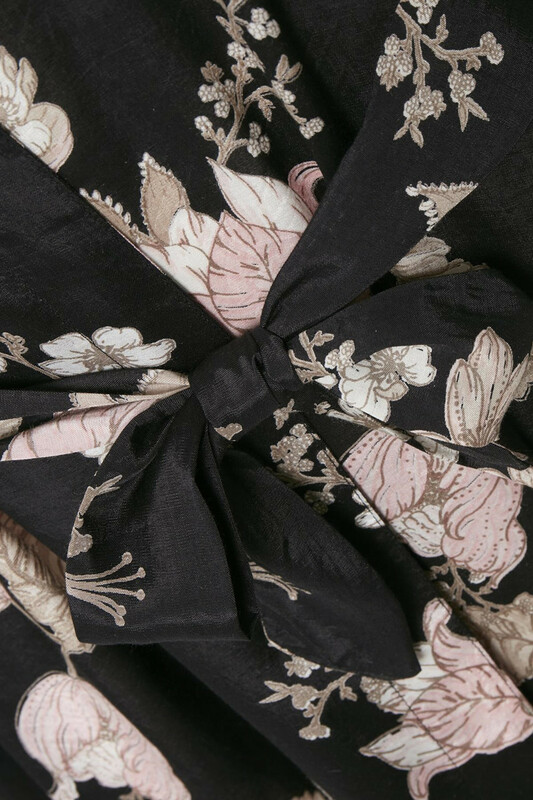 It is definitely a beautiful and trendy kimono that can be used for both everyday use and festive occasions.